Abstract : In this paper we present a new statistical model for the power spectral density (PSD) of an audio signal and its application to multichannel audio source separation (MASS). The source signal is modeled with the local Gaussian model (LGM) and we propose to model its variance with an inverse-Gamma distribution, whose scale parameter is factorized as a rank-1 model. We discuss the interest of this approach and evaluate it in a MASS task with underdetermined convolutive mixtures. 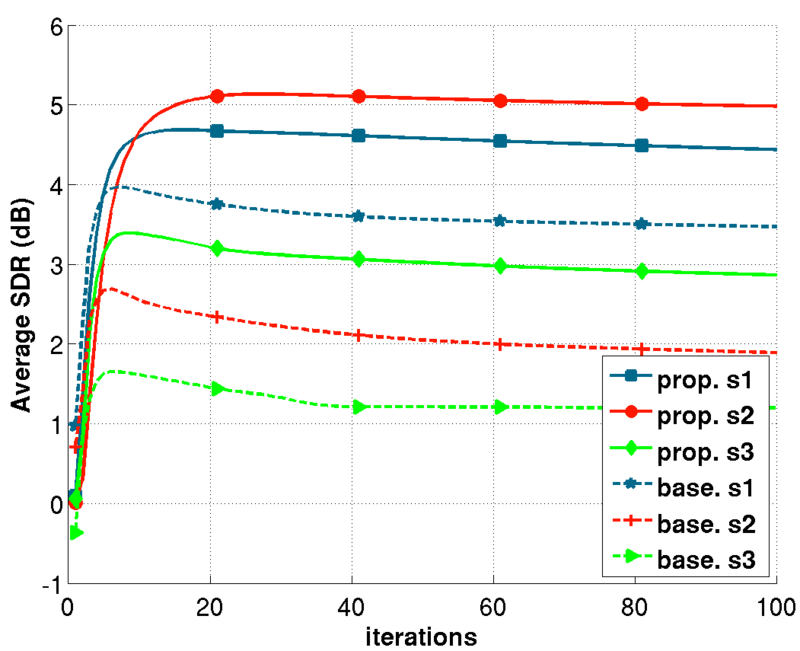 For this aim, we derive a variational EM algorithm for parameter estimation and source inference. The proposed model shows a benefit in source separation performance compared to a state-of-the-art LGM NMF-based technique.